This article analyzes the existing social protection framework in Albania and its provisions for return migrants. Postcommunist and transitional Albania is characterized by strong demographic changes with direct impact on social protection and social rights. Among other influencing factors, migration has been of utmost importance. This article considers the specifics of migration in Albania, comparing the problems and needs that have been created with policy solutions provided. It argues that Albania, one of the top recipients of financial remittances in the world, has not been able to produce policies that effectively respond to the pace of political and socioeconomic change the country is undergoing, particularly in relation to migration. 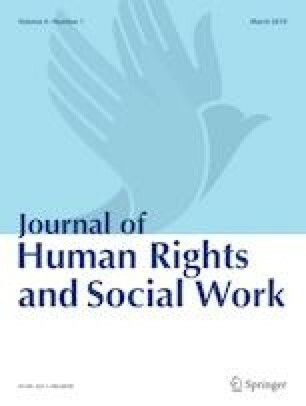 Focusing on social protection in the framework of return migration, findings demonstrate that in postcommunist Albania, policy-making has lagged behind returnees’ needs, indicating a significant lack of evidence-based policymaking. Amnesty International (2017) Amnesty International Report 2016/17: The state of the World's Human Rights. https://www.amnesty.org/download/Documents/POL1048002017ENGLISH.PDF. Accessed June 2018. Eurostat (2015) Data in Focus, 3/2015. https://ec.europa.eu/eurostat/documents/4168041/6742650/KS-QA-15-003-EN-N.pdf/b7786ec9-1ad6-4720-8a1d-430fcfc55018. Accessed June 2018. INSTAT (2013) Migracioni i kthimit dhe ri-integrimi në Shqipëri 2013. Available at http://www.instat.gov.al/media/2333/migracioni_i_kthimit_dhe_ri-integrimi_2013_.pdf. Accessed March 2018. Ministry of Internal Affairs. (2017) Migration profile 2016 Republic of Albania. Retrieved from http://www.mb.gov.al/files/documents_files/Profili_i_Migracionit_2016_(Eng).pdf. Accessed June 2018. UNDP (2015) Sustainable Development Goals. http://www.undp.org/content/dam/undp/library/corporate/brochure/SDGs_Booklet_Web_En.pdf. Accessed Oct 2018. Vathi, Z., & Zajmi, I. (2017). Children and migration in Albania: latest trends and protection measures available. Tirana: Terre Des Hommes Retrieved from http://tdh-europe.org/upload/document/7270/MIGRATION%20REPORT%20ALBANIA%20(eng)_web.pdf. Ymeraj, A. (2016). Boosting growth through social business: a state’s or market’s function. Balkan Journal of Interdisciplinary Research, 1(3), pp. 49–59. http://iipccl.org/wp-content/uploads/2016/01/BJIR-Vol.-1-No.-3-January-2016.pdf. Accessed Sept 2018.